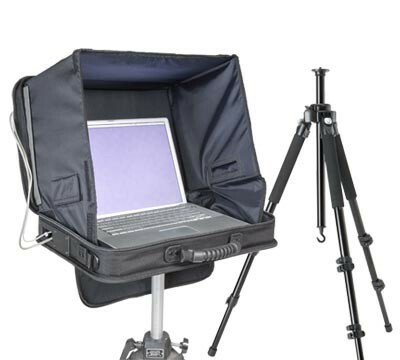 Seaport Digital is giving away a new i-Visor LS Pro Mag laptop case plus Studio Assets tripod, the company’s “ultimate pro kit”, in its 2013 Holiday Giveaway. The i-Visor LS Pro Mag is a protective laptop case with a built-in sunshade, which you can use to view your monitor more clearly in bright sun and under studio lights. The case mounts to a tripod — such as the one up for grabs in the prize draw — to create a mobile workstation. If you’d prefer not to leave it to chance, the seller also has some holiday specials on at the moment, including this very kit for under $300, or $170 off the Godox LP-750 battery inverter. Read full details and enter the draw on Seaport Digital’s web site. Entry closes on 31st December 2013 and Seaport will announce the winner on Monday 6th January 2014.